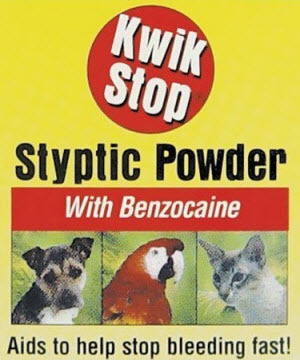 The most effective solution to stop bleeding is Quick Stop (steptic powder). This product can be purchased at a pet store. If you do not have access to the steptic powder you can use flour,cornstarch, or a tea bag in the place of the quick stop.